Guardian One by Vaporesso adopts dual child locking mechanism that prevents children from accidentally opening the tank and get in contact with the liquid inside. It is truly a carefree filling since the coil would remain inside to avoid overfill. With its unique leak resistant structure, you can rest assured to enjoy vaping with clean hands. 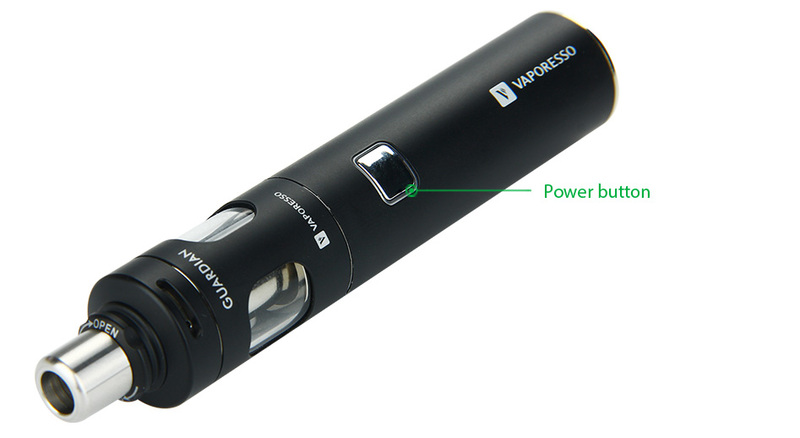 The mod itself is compact in design, yet capable of 40 wattage of output. Built with CCELL ceramic coil inside, it is guaranteed to deliver the most original flavor of your e-liquid. 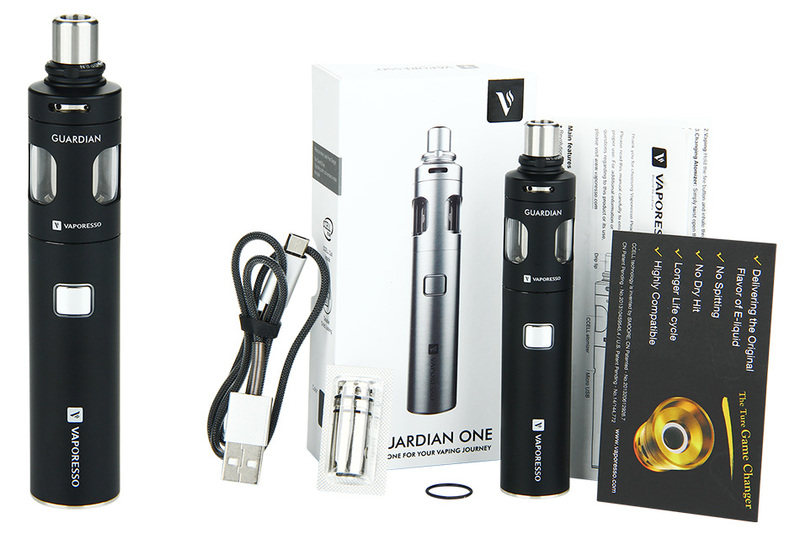 Guardian One, the One for your vaping journey! Atomizer replacement: Twist open the mouthpiece base counter clockwise and then remove the top lid. Take the atomizer out and replace with a new one. 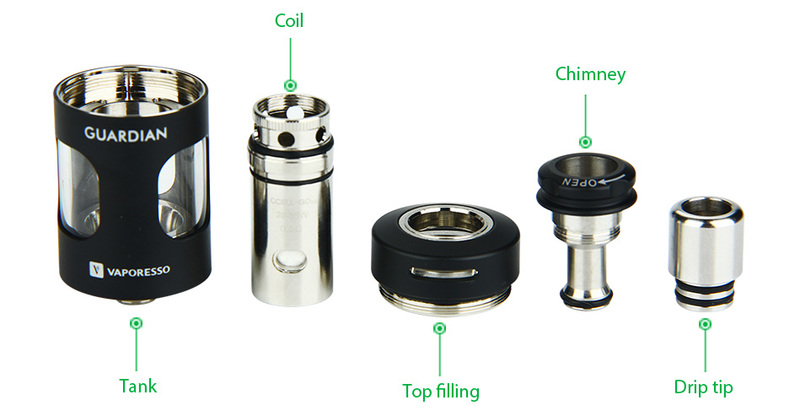 Make sure that the atomizer is secured in place with the slot fits onto the inside opening. Twist back the top lid and screw back the mouthpiece. Adjustment of Air Inflow: Rotating the ring on the top clockwise or counterclockwise to adjust the air inflow. 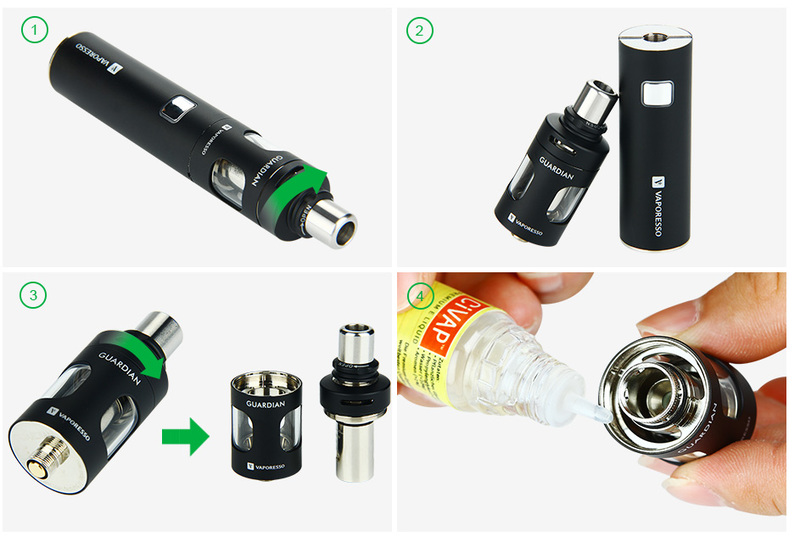 E-juice filling: Twist open the the mouthpiece counterclockwise and remove the top lid. Inject the liquid directly into the chamber on the side. Once filled, twist back the top lid and screw back the mouthpiece to resume use. Make sure the CCELL Ceramic Coil is secured in place before putting back the top lid.